In order to address the needs of this target user group and their corresponding relatives and care professionals, REACH integrates, extends, and augments the capabilities of existing products and services from the eHealth, wearables, rehabilitation and data analytics markets based on its innovation potential. The triple-helix collaboration with the participation from municipality, building companies, technological companies (who produce the sensor and smart furniture), hospital, insurance companies, care organizations and knowledge institute makes it possible to create Blue Ocean innovations at the boundary of building and healthcare industry, specifically for the ageing population. On this platform, elderly people receive care, mobilisation and rehabilitation realted, personalized physical and digital services that fit their individual needs. A key target is to allow for an economic exploitation of REACH’s outcomes (knowledge, products, services, etc.) through Philip’s HSDP. REACH’s will strengthen Europe’s foothold in health care ICT-platforms and platform compatible offers in general and make Europe a world leader in prevention targeting ICT-platforms and offers. In order to ensure an efficient exploitation of the three outlined major outcomes of REACH , the project intensively address “soft aspects” as privacy, security, ethical, legal considerations, and usability issues to ensure that acceptability and sustainability of these solutions. Furthermore, a specialized project partner will ensure standardization and interoperability from early project stages on in order to foster the exploitability of REACH’s outcomes. REACH targets smart homes, home care, care homes, and rehabilitation facilities where care organizations and hospitals upgrade facilities with the REACH systems. 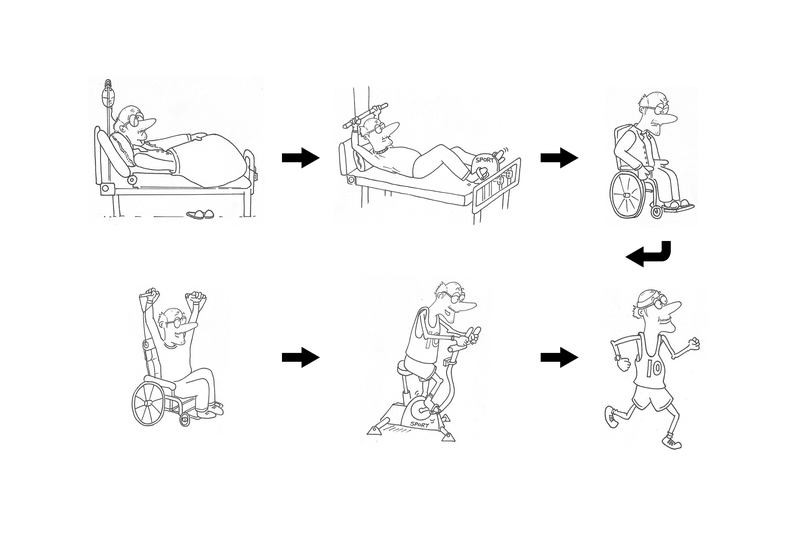 In particular rehabilitation and clinics might use REACH in the future for patient mobilisation in their facilities and then let the system “move” with the users back to their homes for monitoring and intervention once they are brought back into “normal” life and released.